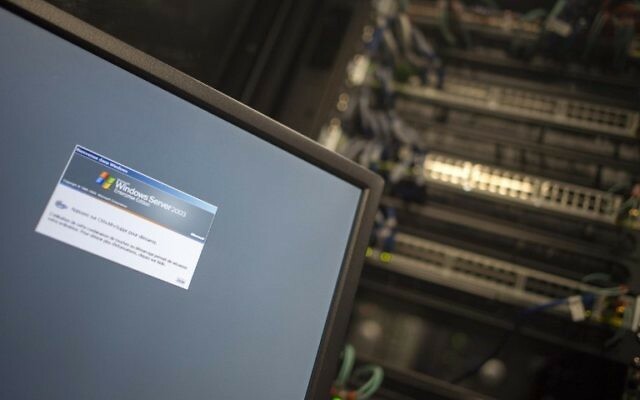 TOKYO (AP) — Global cyber chaos was spreading Monday as companies booted up computers at work following the weekend’s worldwide “ransomware” cyberattack. The extortion scheme created chaos in 150 countries and could wreak even greater havoc as more malicious variations appear. 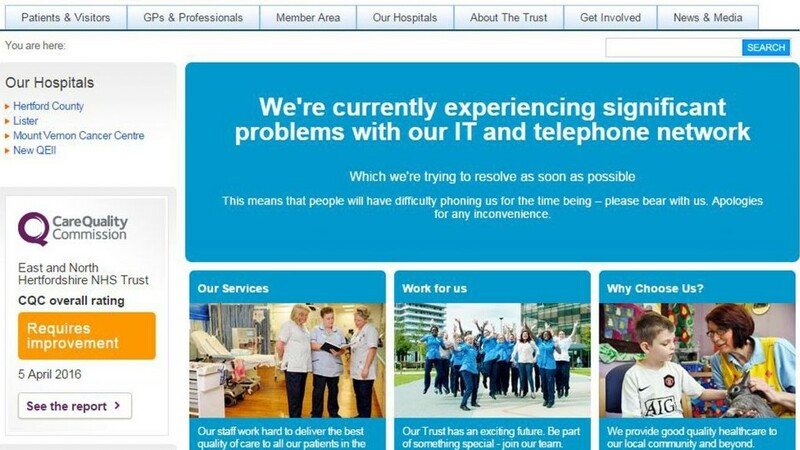 The initial attack, known as “WannaCry,” paralyzed computers running Britain’s hospital network, Germany’s national railway and scores of other companies and government agencies around the world. As a loose global network of cybersecurity experts fought the ransomware hackers, Chinese state media said 29,372 institutions there had been infected along with hundreds of thousands of devices. The Japan Computer Emergency Response Team Coordination Center, a nonprofit providing support for computer attacks, said 2,000 computers at 600 locations in Japan were reported affected so far. Government agencies said they were unaffected. Companies like Hitachi and Nissan Motor Co. reported problems they said had not seriously affected their business operations. In China, universities and other educational institutions were among the hardest hit, about 15 percent of the internet protocol addresses attacked, according to the official Xinhua News Agency. That may be because schools tend to have old computers and be slow about updates of operating systems and security, said Fang Xingdong, founder of ChinaLabs, an internet strategy think tank. Railway stations, mail delivery, gas stations, hospitals, office buildings, shopping malls and government services also were affected, Xinhua said, citing the Threat Intelligence Center of Qihoo 360, a Chinese internet security services company. Elsewhere in Asia, officials in Japan and South Korea said they believed security updates had helped ward off the worst of the impact. The most public damage in South Korea was to cinema chain CJ CGV Co. It was restoring its advertising servers at dozens of theaters after the attack left the company unable to display trailers of upcoming movies. 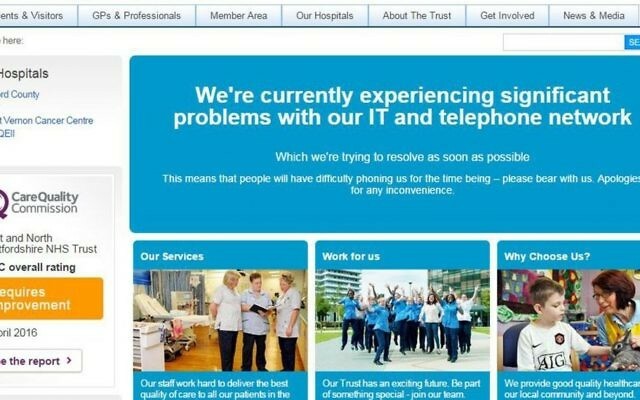 The attack was disrupting computers that run factories, banks, government agencies and transport systems in scores of countries, including Russia, Ukraine, Brazil, Spain, India and Japan, among others. Russia’s Interior Ministry and companies including Spain’s Telefonica, FedEx Corp. in the U.S. and French carmaker Renault all reported troubles. Experts were urging organizations and companies to immediately update older Microsoft operating systems, such as Windows XP, with a patch released by Microsoft Corp. to limit vulnerability to a more powerful version of the malware — or to future versions that can’t be stopped. 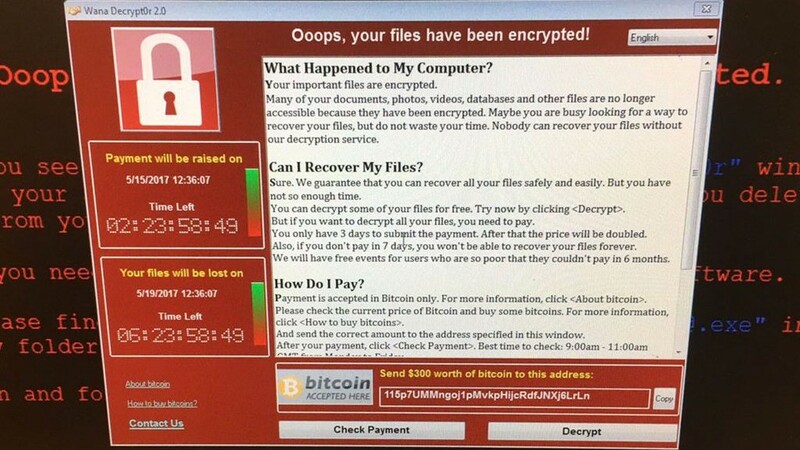 Paying the ransom will not ensure any fix, said Eiichi Moriya, a cyber security expert and professor at Meiji University. Just one person in an organization who clicked on an infected attachment or bad link, would lead to all computers in a network becoming infected, said Vikram Thakur, technical director of Symantec Security Response. Microsoft’s top lawyer is laying some of the blame at the feet of the US government. Brad Smith criticized US intelligence agencies, including the CIA and National Security Agency, for “stockpiling” software code that can be used by hackers. 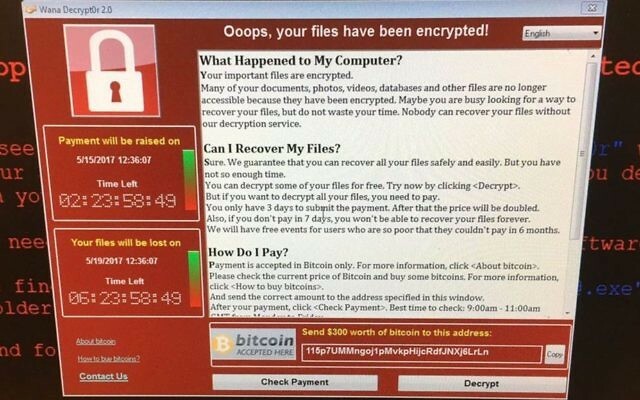 Cybersecurity experts say the unknown hackers who launched this weekend’s “ransomware” attacks used a vulnerability that was exposed in NSA documents leaked online. Researchers who helped prevent the spread of the malware and cybersecurity firms worked around the clock during the weekend to monitor the situation and install a software patch to block the worm from infecting more computers in corporations across the US, Europe and Asia. Installing the Microsoft patch is one way to secure computers against the virus. The other is to disable a type of software that connects computers to printers and faxes, which the virus exploits, O’Leary added.